Gum surgery in the past required cutting, stitches and extensive healing time. You faced higher risks associated with the surgery, such as infection or excessive bleeding. At Brooklyn dentistry, by relying on the latest technology and lasers to perform procedures like gum recession surgery, your family dentist in Brooklyn provides you with the most modern options when dealing with dental issues that require gum surgery. Laser technology has made a lasting impact across several medical disciplines. The dental industry is no exception. 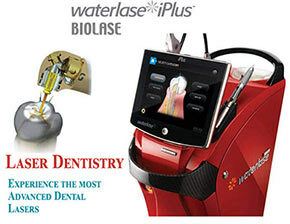 Since 1994, lasers have been employed for treatments in the field of dentistry. Gum surgery is a condition that has responded especially well to treatment with lasers. This is still, however, relatively new technology. And while it’s been FDA-approved for years, not all dentists have incorporated laser procedures into their practice. Fortunately, the best dentist in Brooklyn at the Quentin Smile Dental Practice has invested in the equipment. Both father and son dentists are fully trained and highly experienced with laser gum surgery. Gum surgery is often the end result of untreated periodontal disease. Periodontal disease is often referred to, in fact, as gum disease. It’s an infection of the bone and supporting tissues that hold your teeth securely in their position. And while gum disease mostly affects adults over the age of 40, it can and does affect younger people with poor dental hygiene as early as in their 20s. 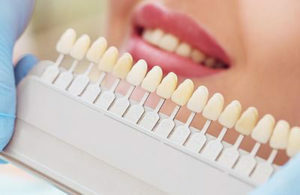 Scaling and root planing are the non-surgical treatment options for gum disease. These are both somewhat invasive methods of cleaning your teeth and the roots of your teeth below the gum line. As your condition worsens and deteriorates, it’s not uncommon for your tooth roots to become exposed. The deep cleaning methods remove plaque, tartar and bacteria from your gums and the roots of your teeth. In time, it’s even possible to regrow healthy gum tissue. Gum flap surgery is an alternative to scaling and planing. In this procedure, your gum tissue is surgically cut and pulled back to allow for an exceptionally deep cleaning of the roots underneath. Once your cleaning is complete, your gums are moved back into their original position and secured with stitches until they heal. Once he’s removed the infected gum tissue, the root of your tooth is exposed. Then, still using the laser, your dentist thoroughly scales your teeth, removing all plaque, tartar and bacteria from around the roots under your gum line. Your dentist then uses instruments to smooth out any rough spots on your teeth. These rough spots provide hiding places for bacteria, so eliminating them altogether is a wise decision. If allowed to remain rough, the bacteria they might attract can lead to further infections down the road. Once your teeth have been thoroughly cleaned, the damaged gum tissue can begin to regrow. When you consider the many benefits of using laser technology for gum recession surgery, you’ll understand why your Brooklyn dentist is so excited about offering the process. Lasers are far more accurate at targeting and removing infected gum tissue than a scalpel in the hands of even the most skilled dental professional. Unlike other forms of dental surgery, general anesthesia isn’t required. And since the laser is significantly less invasive, any pain, swelling or bleeding you may experience is kept to an absolute minimum. A less invasive, more targeted treatment ultimately results in faster healing and less down-time. There are some risks associated with laser gum surgery, but they are all tied to operator error. Dentists who lack training and experience are more likely to make mistakes using a laser. Follow any instructions your dentist gives you after your laser gum recession surgery. A strong dental hygiene program is essential to prevent the recurrence of gum disease. Brushing and flossing daily keeps your gums from swelling from an infection. Avoiding cigarettes and other tobacco products also reduces your chance of your gum disease returning. 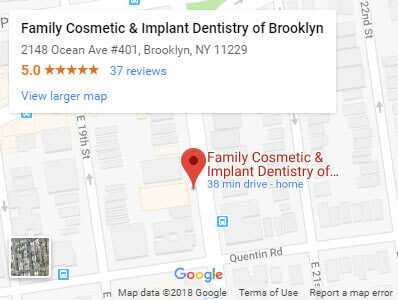 Being able to trust the best dentist in Brooklyn goes a long way. When you go to the same dentist for all of you regular check-ups and for all your cosmetic dentistry procedures, you not only trust your dentist more, but he comes to know your history and your habits. If you left your gum disease untreated, it means you haven’t kept your regular appointments. Gum disease is the number one cause of tooth loss. Regular check-ups with your Brooklyn dentist can spare you the aggravation and embarrassment of missing teeth. But now you know that your general dentist in Brooklyn can perform gum recession surgery if needed. Do you have any questions about the Laser Gum Surgery & Gum Recession Surgery procedure in Brooklyn? 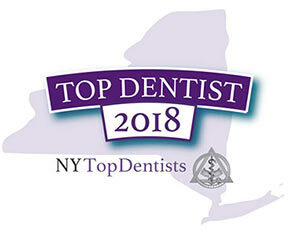 For more information or to schedule an appointment with the best dentist Khabensky DDS of Family Cosmetic & Implants Dentistry of Brooklyn? Please contact our dental clinic for consultation with the dentists Alex and Igor Khabensky DDS.